Among midsize sedans, the 2014 Honda Accord continues to be a favorite in the Middletown and Mechanicstown areas. Besides offering some of today’s finest features and luxury looks, the 2014 Accord is also powerful and efficient. Of course, you may also be considering a 2014 Toyota Camry for its efficiency and performance. If you haven’t looked at each vehicle side-by-side just yet, you’ve come to the right place. Here’s a look at the mpg ratings and engine options for the 2014 Honda Accord and 2014 Toyota Camry. There is no manual option for the 2014 Toyota Camry. For Middletown drivers who like to maintain that personal connection to their vehicle and control shifting, they are out of luck with a Camry. The 2014 Toyota Camry’s standard engine is a 2.5L four-cylinder engine producing 178 hp and 170 lb-ft of torque, which is less power than the base engine of the 2014 Honda Accord — and with the engine, there’s only a six-speed automatic transmission. This helps the Camry to a rating of 25 mpg city and 35 mpg highway. The bottom line is that, when comparatively equipped, the 2014 Honda Accord offers better fuel economy than the 2014 Toyota Camry, and that’s something that Mechanicstown drivers can celebrate. 2014 Toyota Camry – The 2014 Camry features a 3.5L V6 engine capable of 268 hp and 248 lb-ft of torque. Compared to the four-cylinder, fuel economy is quite a bit lower at 21 mpg city and 31 mpg highway. 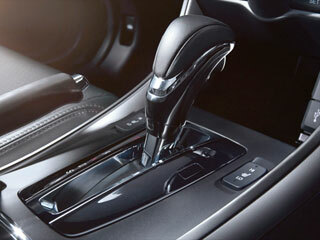 These models are also equipped with the six-speed automatic transmission. The bottom line when looking at the V6 engines for these two midsize sedans is that the Accord offers more power and better fuel economy. Usually you don’t get both, but the 2014 Honda Accord isn’t your average car. In regards to power and fuel efficiency, the 2014 Honda Accord Sedan is the clear mpg winner over the 2014 Toyota Camry. Of course, there are many other qualities that make the Accord an exceptional vehicle, and we encourage you to learn more about them. Feel free to contact Middletown Honda if you have any questions, or just visit our dealership. We’re located at 520 Route 211 E. in Middletown, NY, less than 10 minutes from Mechanicstown. 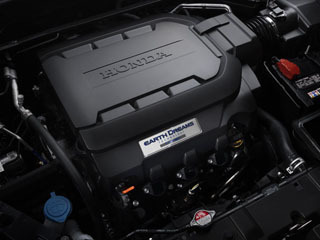 * 24 city/34 highway/28 combined mpg rating for 4-cylinder Sedan 6MT models. 27 city/36 highway/30 combined mpg rating for Sedan CVT models. 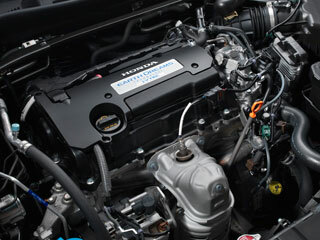 26 city/34 highway/29 combined mpg rating for Sport Sedan CVT models. 21 city/34 highway/26 combined mpg rating for V-6 Sedan models. Based on 2014 EPA mileage ratings. Use for comparison purposes only. Your actual mileage will vary depending on how you drive and maintain your vehicle.